Fertility Solutions Bulk Billed IVF is featured on 7 Local News Sunshine Coast 06/12/16. Watch our feature beginning at 6:32 mark of the video below. Rob Brough: A Buderim fertility clinic believes it’s the first in regional Queensland to offer Bulk Billed IVF treatment. It hopes the service will be making a becoming a parent more achievable for couples who are struggling to start a family. Mackenzie Ravn: Coby Lane knows firsthand the emotional and financial costs of having a baby. 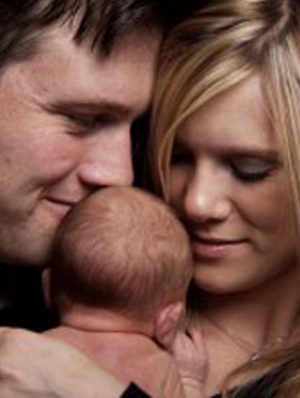 She and husband Brett tried for years before falling pregnant through IVF. Coby Lane: Every month it takes to be successful is an extra two grand, five grand you know eight grand. Mackenzie Ravn: The Coulomb couple are now parents to Ivy and Oscar but others aren’t as fortunate. Coby Lane: I know of a few people that have done 10 or so rounds and still have have no children and to them that be a hundred grand. Mackenzie Ravn: A single ivf cycle can cost up to ten thousand dollars if unsuccessful couples have to pay again to repeat the process. Mackenzie Ravn: Fertility Solutions is trying to change that. From January the Buderim clinic will begin offering bulk build IVF. The clinic saves money by doing everything from the consultation to fertilization in house. For some couples it could bring costs to below $1,000. Coby Lane: My future is based on whether I can afford a child, not whether i want one so yeah it’s huge. Mackenzie Ravn: The company claims it’s the first one stop IVF shop for regional Queensland. Denise Donati: I think it’s really important for people in the regional centers to have access to this treatment without having to travel hours now as to to access that treatment. Mackenzie Ravn: For more information visit our facebook page. Mackenzie Ravn, 7 News.